Link: Albuquerque Journal slide show of Las Conchas Fire Fire now at 92,000 acres and has moved north to Santa Clara Canyon. 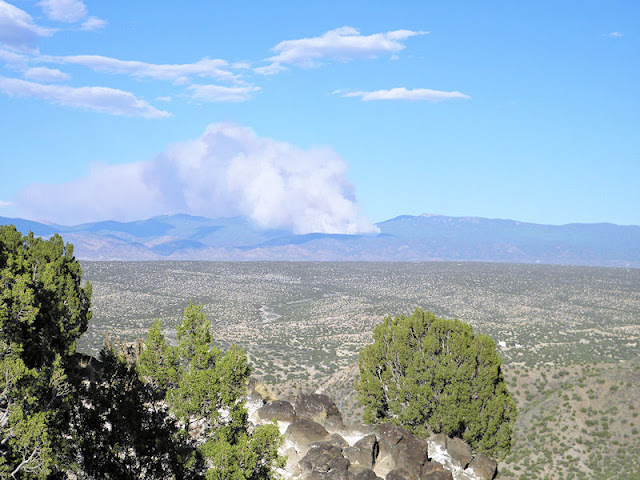 Also, still burning in Frijoles Canyon in Bandelier Nat. Monument. Largest fire in NM history. If and when rains come, imagine I'll be posting pics of flash flooding and damage due to run off - nothing to hold the water back. Ugh! Lots of work ahead. NM Governor Susana Martinez and Los Alamos County Council on stage at standing room only community meeting at the White Rock Baptist Church yesterday afternoon. Below, Police Chief Wayne Torpy listens as LAFD Fire Chief Doug Tucker talks about the progress of fighting the fire. Another briefing Thurs at 2 PM. 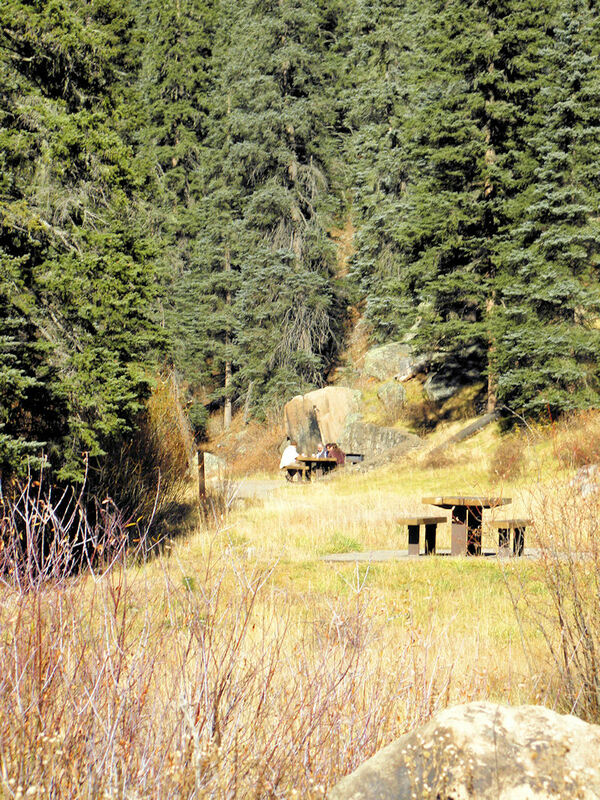 One of the large hot spots in the 60,000-70,000 acre fire. Predictions are that the fire could double or triple in size. No homes in Los Alamos have burned but about 30 homes burned on first day of fire in Cochiti Mesa on south side of fire. Spot fires on LANL property were quickly put out. See Las Conchas Fire map here. 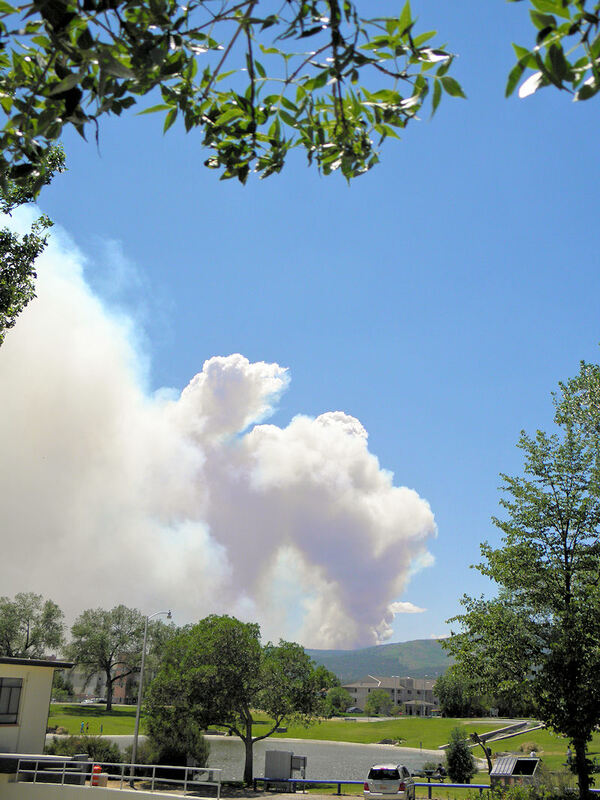 View of smoke from Pajarito Acres. Below, other spectators staring, talking, taking pictures. Fire just started up in the afternoon of the the 26th of June in the Las Conchas area. 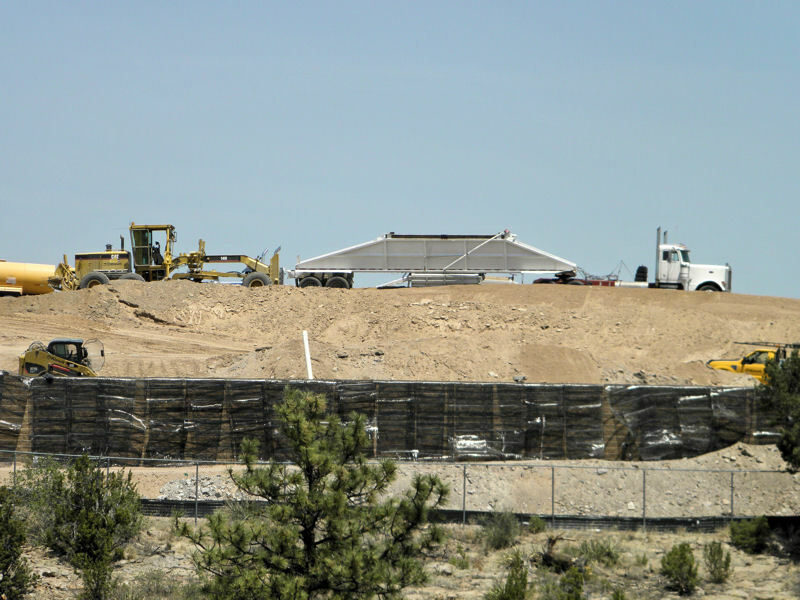 LANL closed 6/27. Fire is 4500 acres and growing fast. [Reportinng 44,000 acres 6/27] No evacuation order yet for 6,000 residents of White Rock. YET! 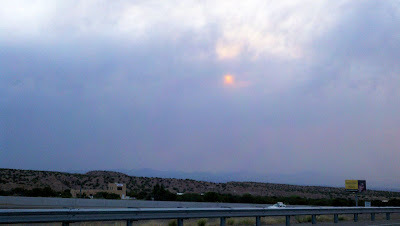 Los Alamos seems not to in path of fire but smoke cloud could be a big problem. 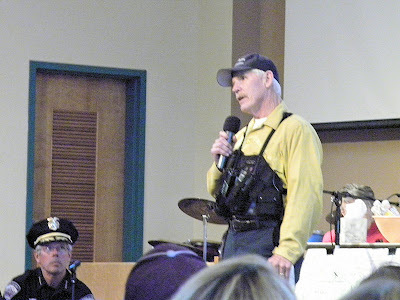 Too many bad memories of 2000 Cerro Grande fire. Live webcam of fire. 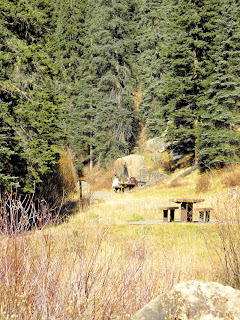 Las Conchas campground (below) is near area where fire started. 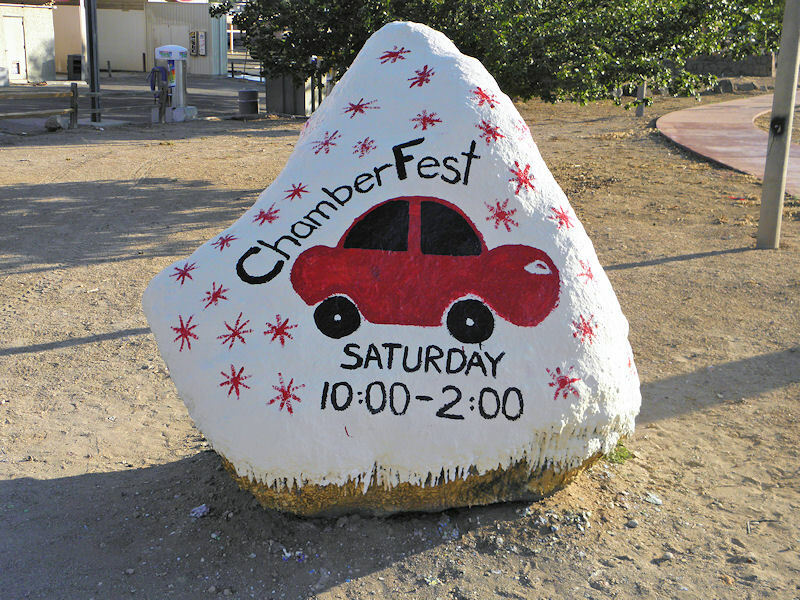 Corvettes not the only cars at the recent Los Alamos Chamberfest. 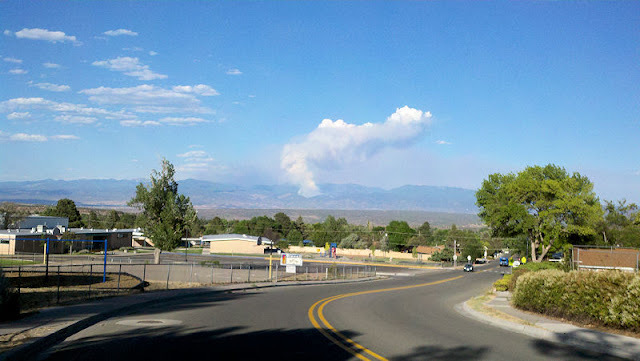 Pacheco Canyon Fire is burning north of Santa Fe in the Sangre de Cristo mountains. 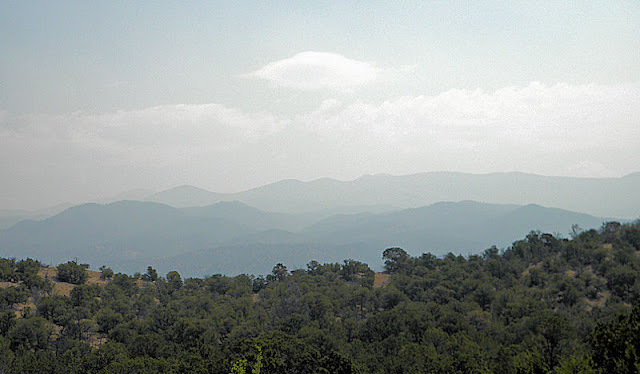 Above is picture on first day of fire, June 18, from the Overlook at Overlook Park when it was about 500 acres burned. Below is what is looked like yesterday from White Rock. Currently it is about 6000 acres burned and only 15% contained. Luckily the winds have been calmer. But, no rain and 90 degree weather. 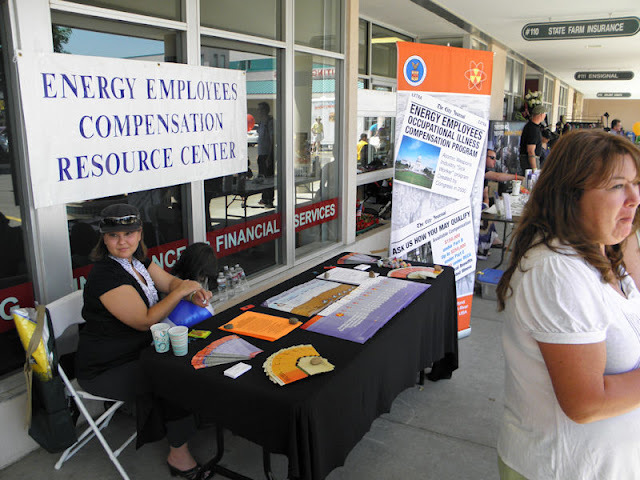 At the recent Los Alamos Chamberfest information table about the Energy Employees Occupational Illness Compensation Program. The program delivers benefits to eligible employees and former employees of the U.S. Department of Energy (DOE) as provided for in the Energy Employees Occupational Illness Compensation Program Act (EEOICPA). 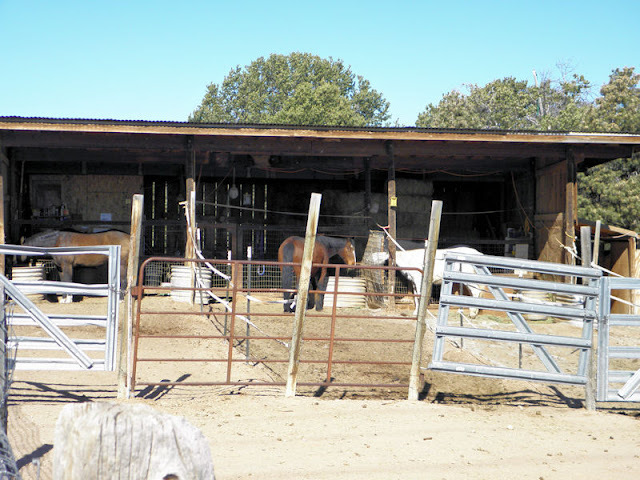 One route I take when jogging or bike riding along the bike path in La Senda passes by these horses. Trucks full of asphalt line up at the Los Alamos Airport's runway resurfacing. They also extended the runway as seen in a previous posting. The truck line up and back up to drop their asphalt load for paving in an effort to get the job done as quickly as possible. Also, makes for a smoother runway, maybe? No! But I can dream! Actually this car belongs to a friend and gets 35 mpg when driven gently and can do 175 mph. 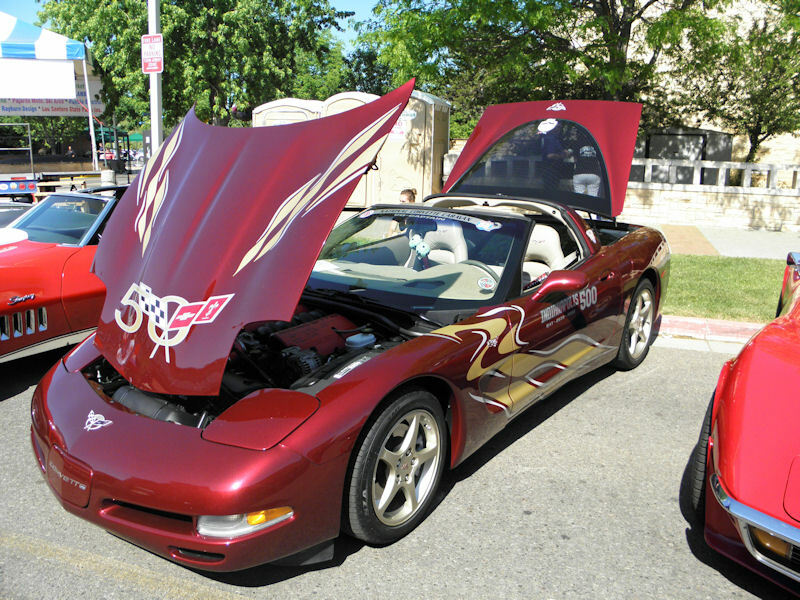 This and other Corvettes were on display at the recent Los Alamos Chamberfest. 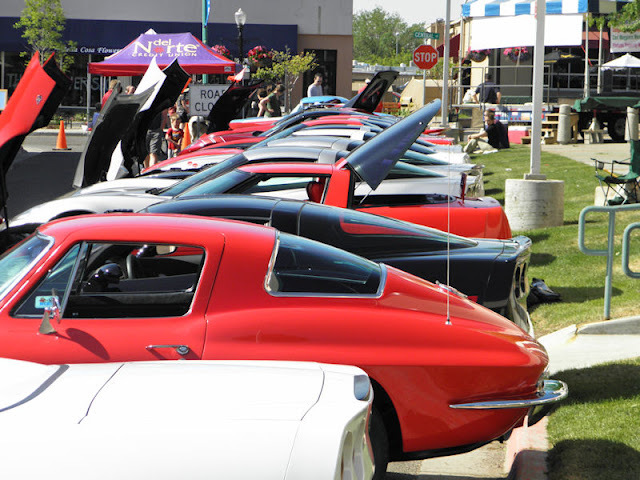 Atomic City Corvettes were joined in Los Alamos by a Corvette club from Albququerque. 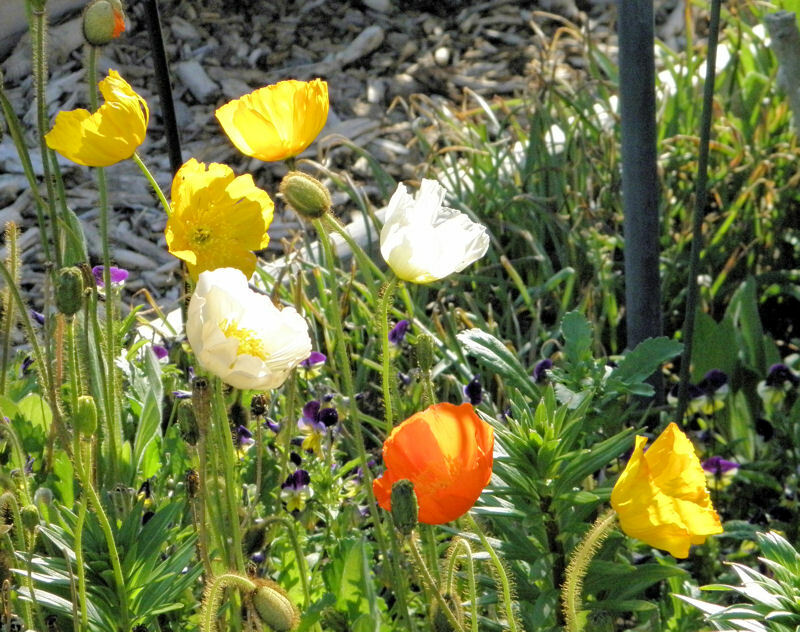 Saw these poppies blooming in a back yard and took the picture. And, that's about all I have to say. EnjoyQ! 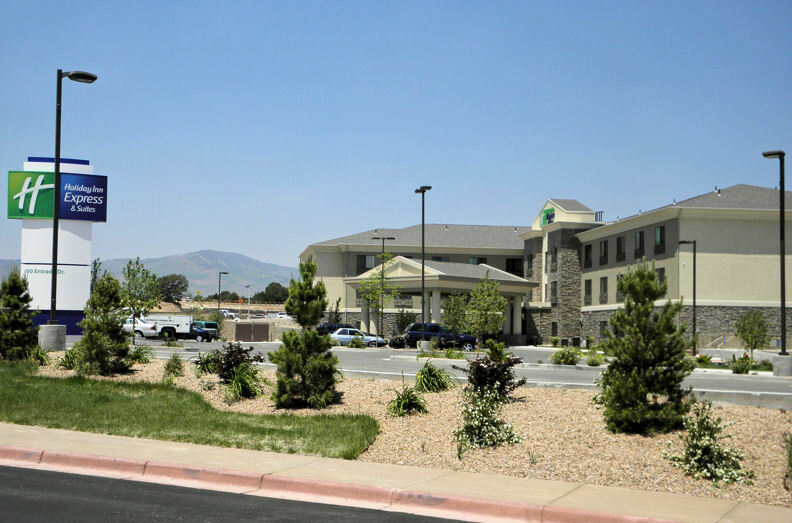 The new Holiday Inn Express in Los Alamos. I've never stayed here, of course. But I have visited it to look around. Pretty nice. Time Out Pizza is now open for coffee at 6 AM. Also serving pastries and breakfast pizzas. 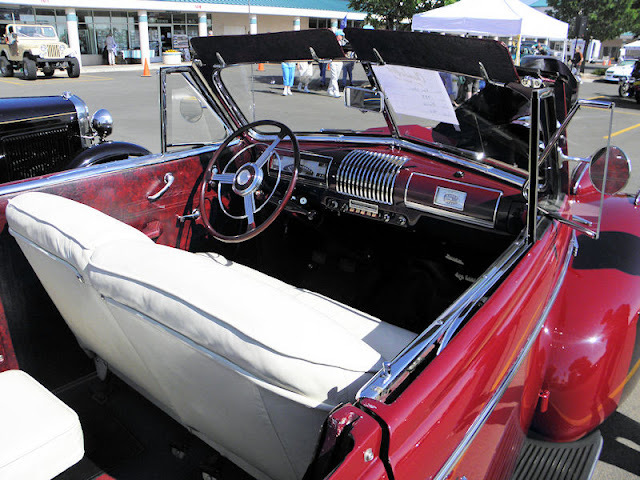 They have a drive through pick up for coffee as well. 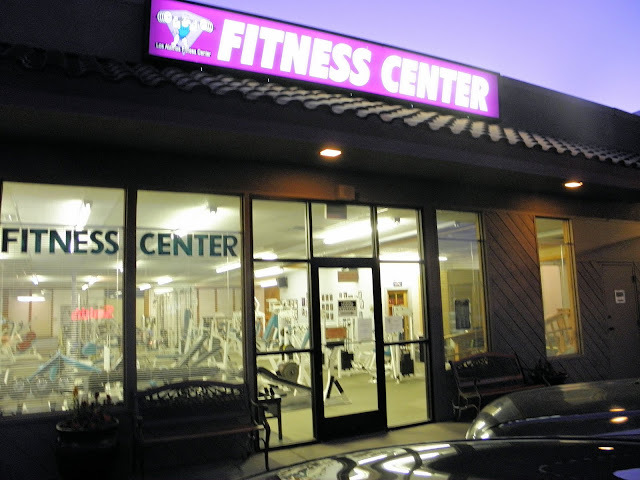 Here they are about 6:30 AM on the first day they were open or coffee (Monday 6/13). Serving Seattle's Best Coffee and their sandwiches and pizza later in the day is pretty good eating. Imagine their breakfast pizzas, pastries, and brkft sandwiches pretty good too. I'll be giving them a try too. I hope people come by, buy some coffee, and sit a while. I plan to. I like to support businesses that take a chance to add a much needed service for the community in these stressful economic times. 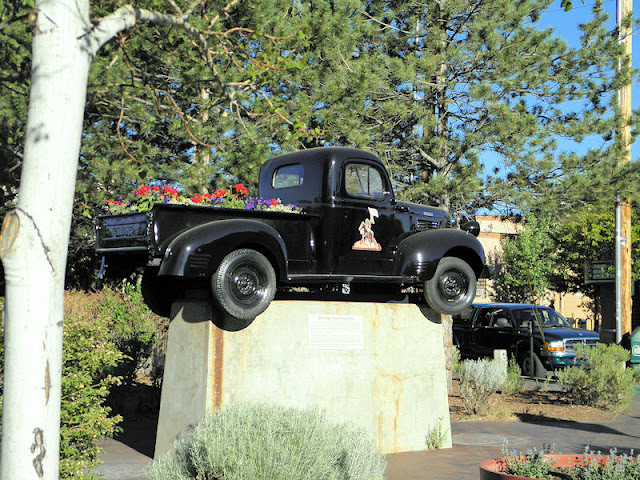 Previous posting for Time Out Pizza on Los Alamos Daily Photo. Their website has not yet caught up to the new coffee service. Today is our 42nd wedding anniversary. Flag Day! 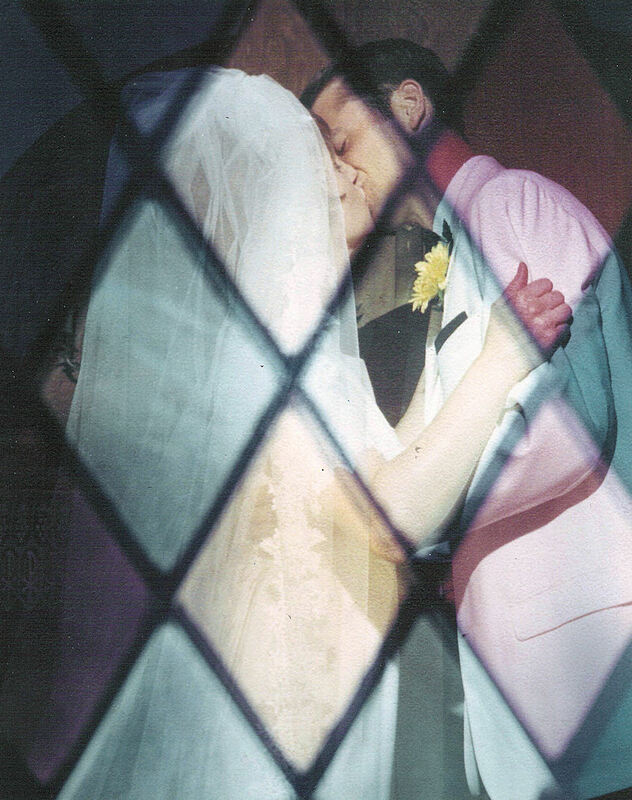 We did not get married in Los Alamos, we got married in Alamosa, Colorado. 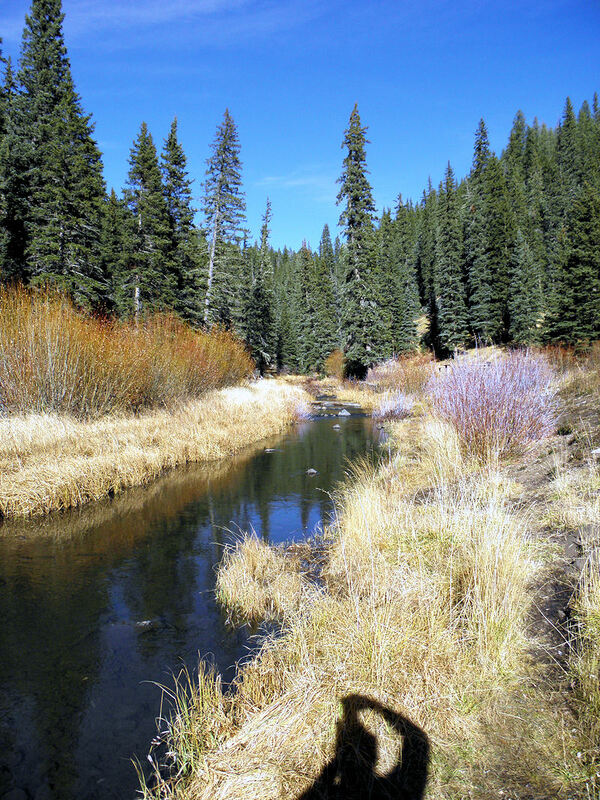 It's only 130 miles north of Los Alamos in the San Luis Valley. 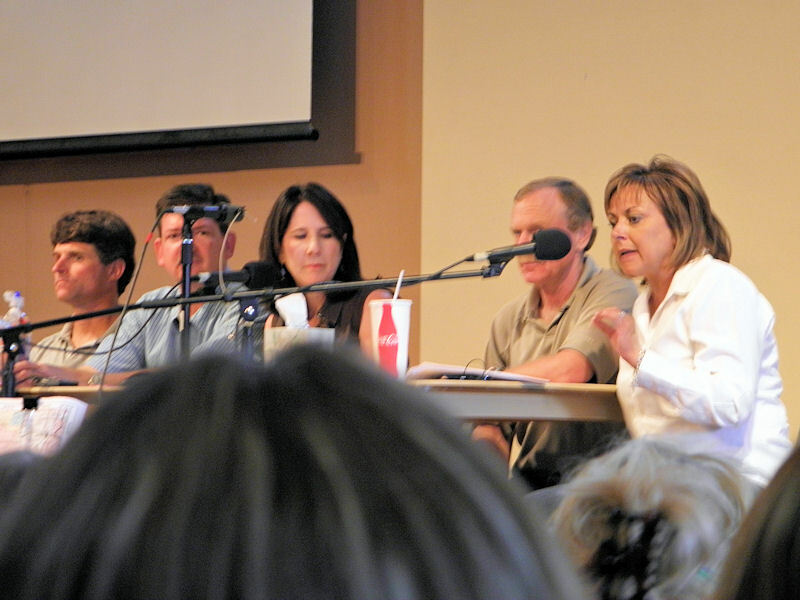 I first visited Los Alamos as a high school junior when the Alamosa track team came to town for a duel meet with Los Alamos. My wife first came to Los Alamos from Alamosa as a little girl when her step-dad almost took a job with the Los Alamos school system. 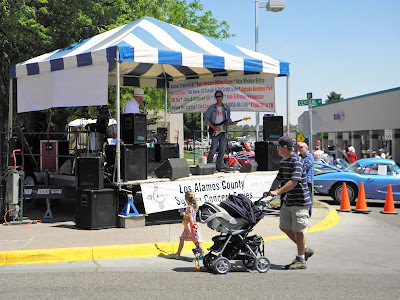 My wife and I met while playing saxophones in the Alamosa High School band. The Conoco Quick Stop recently became a Shell station in partnership with Smith's Foods (Koger). 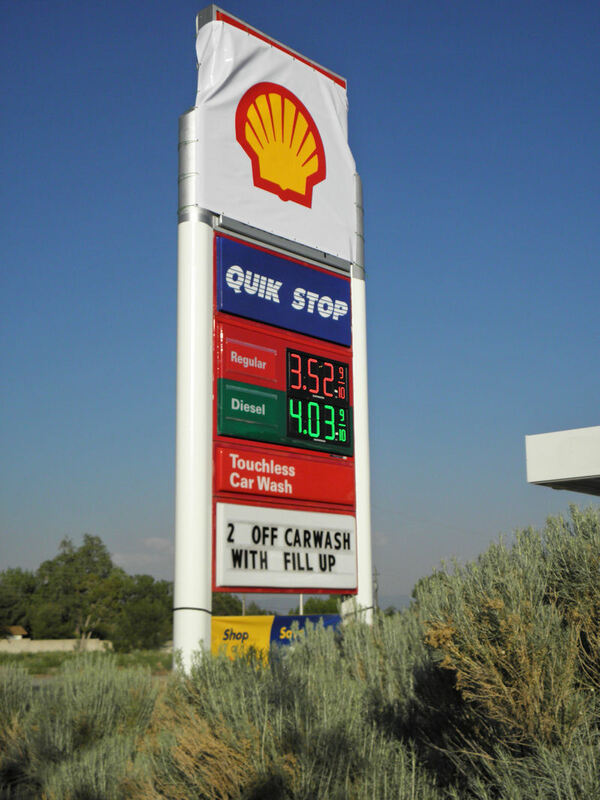 I filled up and used my Smith's Reward card and got $1.00 off per gallon. Yeah! I've used my Smith's card in Colorado at Kind Supers and in Washington State at Fred Meyer and QFC and gotten discounts. Yeah! again. Chamberfest announcement on the White Rock rock. Music for all. Click here to see and hear the band (and the Corvettes). Taking a break at Starbucks in Los Alamos on a sunny day in the late AM. 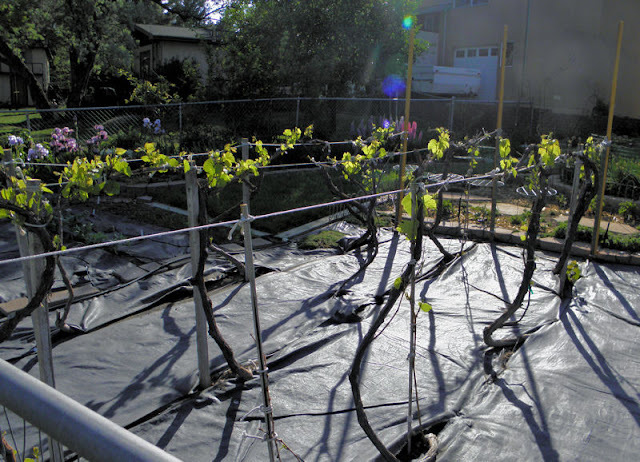 Saw this small back yard vineyard. Wondered if they made their own wine. New Mexico does produce very good wines. Notice the black covering on the ground to thwart weeds and conserve water in our dry climate. Los Alamos gets about 19" of rain (15" in White Rock) average per year. 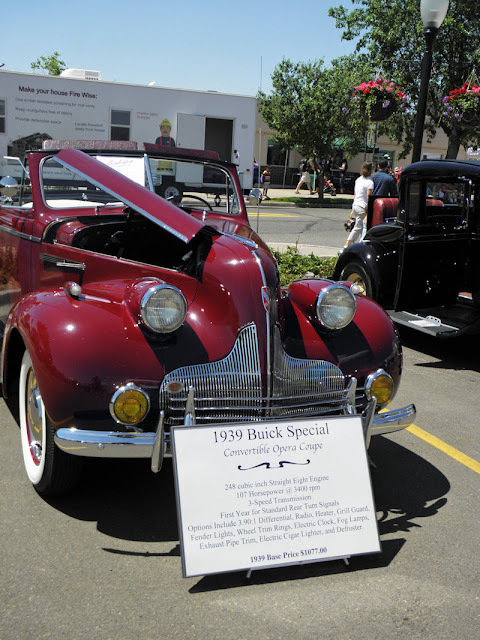 We are way behind this year and for several past years. Very low humididy, lots of sun, and high altitude really dries out the landscape and the people. If you look closely, one can see a circle divided by a line across the center. 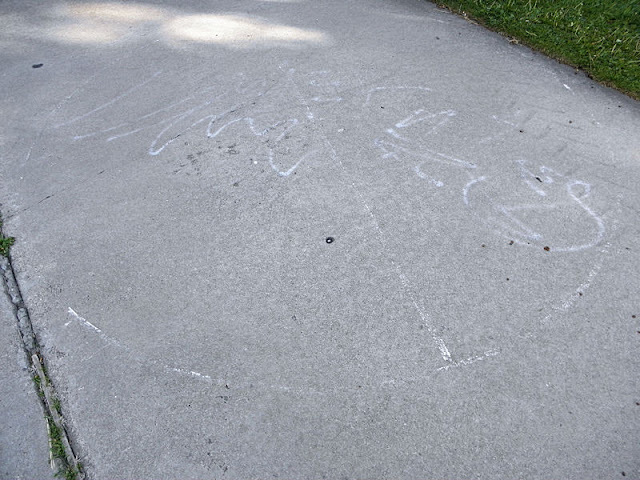 This is a discus ring we drew in the early 80s when I was a track coach and coaching Carol Cady. We used rings drawn in parks and schools around to change the scenery for hours of drill and practice when Carol was in high school. It all was a joy and Carol went on to compete for Stanford and represented the U.S.A. the '84 and '88 Olympics in the shot put and discus. Carol also held the American Collegiate discus record for about 16 years. She is now an M.D./PhD in private practice. Strange picture, I know. But, important to me! 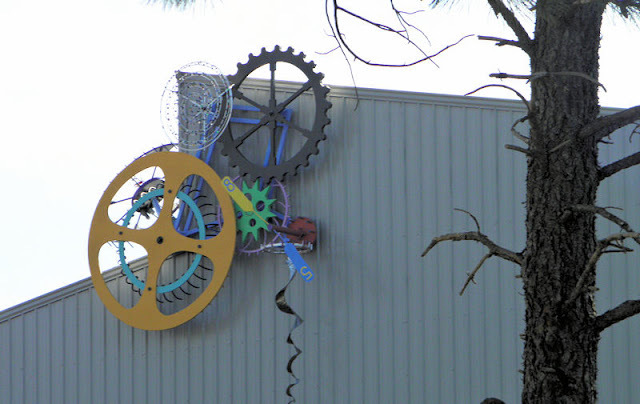 Interesting "clock works" sculpture art on the new Los Alamos County Eco Station. Located where the county landfill once as located, waste, recycling, and handling hazardous are sorted and sent for disposal or recycling. These smoky views brings back a flood of buried memories of the 2000 Cerro Grande Fire in Los Alamos that also sent smoke into several states. Looking at the sun through the smoke it's a bright red-orange. It's a bright yellow white looking through clouds. 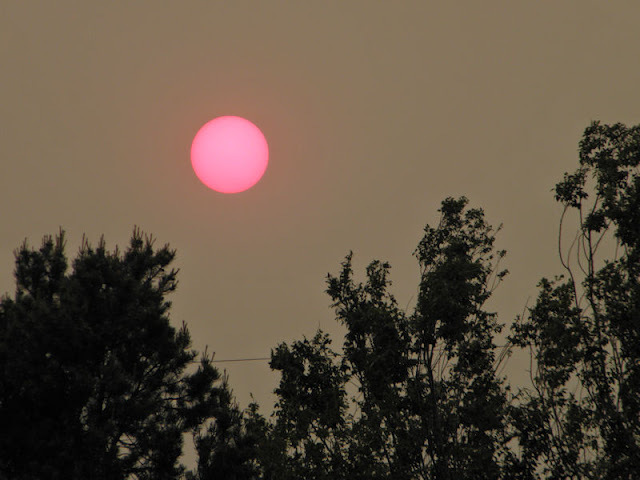 Looking through smoke, dust, or pollution, it's this bright red-orange. No. These are the Sangre de Cristos yesterday AM due to the smoke from the Wallow Fire in Arizona. 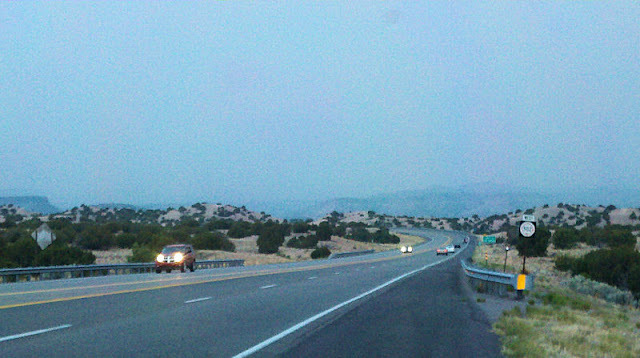 It has grown to 140,000 acres and causing poor air quality in New Mexico and Colorado. 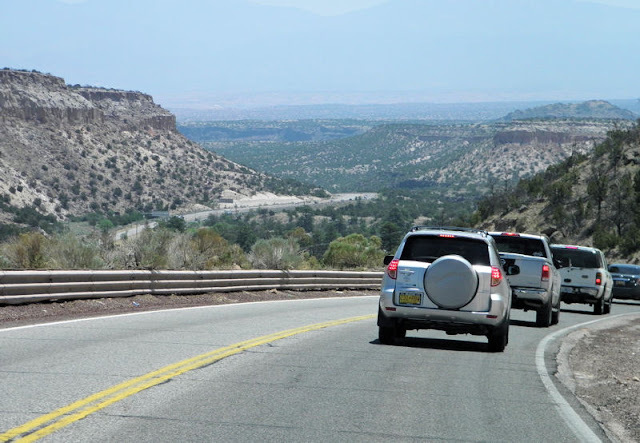 On this drive one could not see either the Sangres nor the Jemez Mountains at times. The day here turned out to be in the low 90s and 7% humidity. 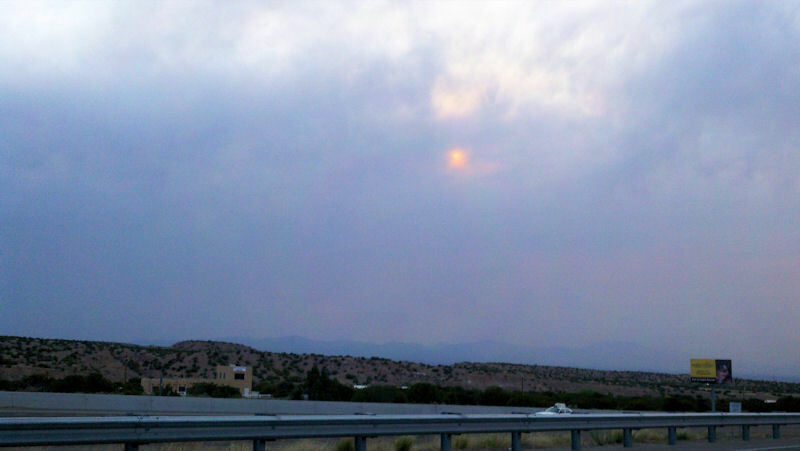 There are several fires in NM as well - on in Silver City has been burning since April. So, it's really not all that pretty. 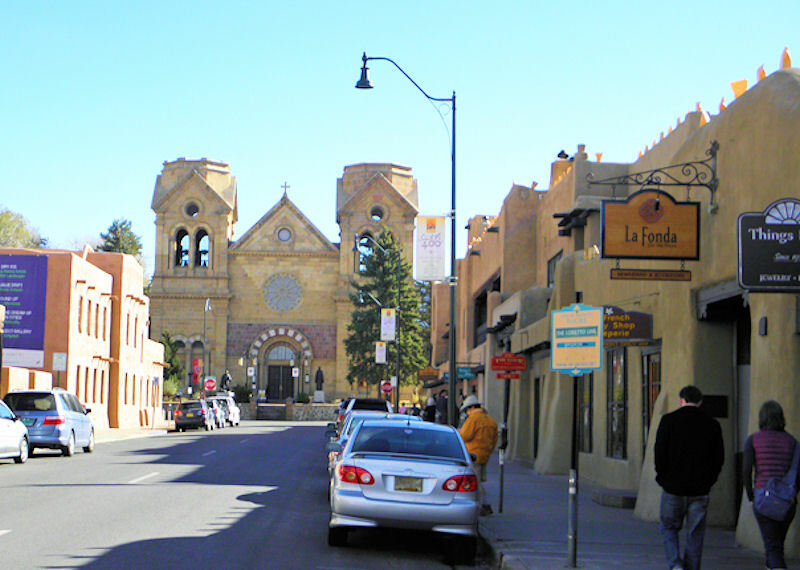 looking along E. San Fransisco Street in front of the La Fonda Hotel. The Cathedral was built between 1869 and 1886 on the site of a church first built there in 1626. 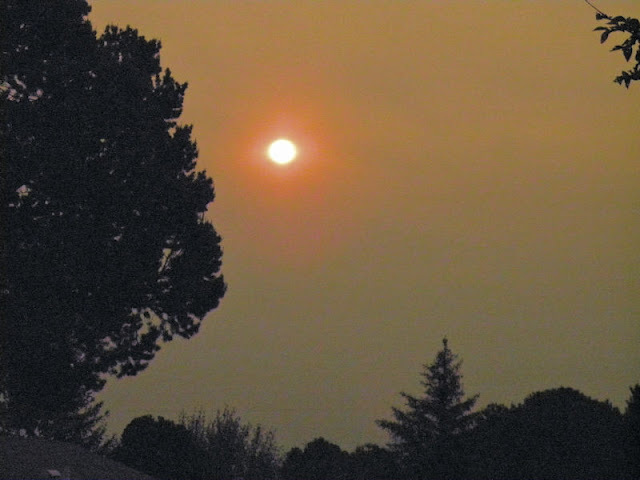 View of the sun through the smoke. 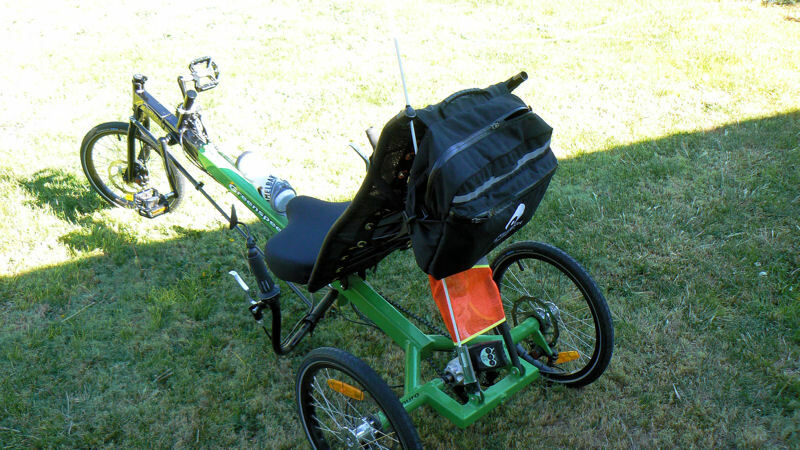 Had to get a flat fixed on my Anura recumbent trike (by Greenspeed). Yes, I know I should change the inner tube myself. But, it's been a while, I don't have the tools, and I want to support local businesses. That's my story and I'm sticking to it.